On a much happier note than my last post (thank you for all of the kind words via Twitter, email & Facebook), I watched the sweetest documentary this weekend about two average folks who collected one of the world’s most incredible & comprehensive collections of minimalist contemporary art. 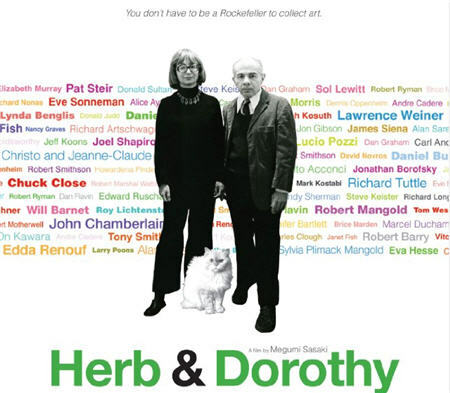 Herb and Dorothy documents the story of the Vogels, a postal worker and librarian from New York City who, over several decades, managed to buy over 4000 works of art (all stored in their one bedroom NYC apartment, no less). The story itself is inspiring, especially since the world of art collectors is usually reserved for the ridiculously wealthy, but even more joyful is what they ultimately decided to do with their collection. They could have easily sold a few pieces here & there for a small fortune & would never have had to work again. 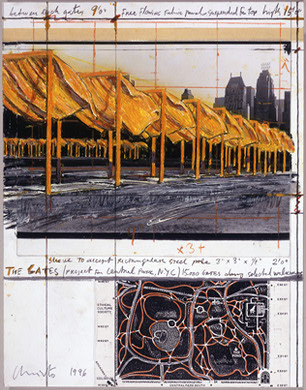 Their collection is worth millions today & includes works by Charles Clough, Sol Lewitt, Christo and Jeanne-Claude, Richard Tuttle & John Cage. But the Vogels never sold a single piece. With an apartment filled to the brim, they finally decided to let their “babies” leave the nest & donated the entire collection to the National Gallery of Art in Washington, DC. Part of why they decided to donate the collection to this particular institution is because the gallery’s charter states that no work will ever be sold, unlike other galleries who sometimes choose to liquidate pieces in order to raise operating funds. Ultimately the Vogels’ collection proved too big even for a national gallery and a new program was created – 50 x 50. 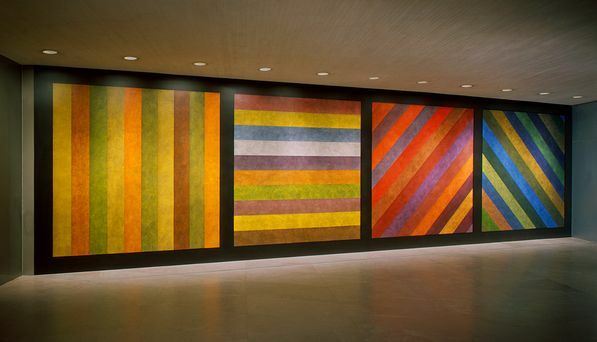 By the end of 2009, fifty artworks were gifted to each of the fifty states. That’s right – 2500 pieces of art. Amazing! If you want to see the documentary AND pinch your pennies, check your local library. I put in a hold request for it & the Vancouver library system sent me an email when it was ready to be picked up. Easy peasey!